Working with a multitude of companies to ensure your property is monitored for fires, burglars, and other hazards can be a hassle. Don’t jump through hoops to keep your business, school, or other commercial space safe. Trust one company to manage your monitoring pipeline. Learn more about BCINet and make the switch from plain old telephone lines to VoIP today. Why Use BCI to Manage Your Burglary and Fire Alarms? We have offices in Tampa, Orlando, and Fort Myers, making our monitoring and service available to Tampa Bay and surrounding cities like Naples, Lakeland, Gainesville, and many more. We can also provide your service solution anywhere in Florida. BCI offers a comprehensive process to determine the most effective way to deploy your burglary and fire alarm monitoring package. How Do We Program and Monitor Your Fire and Burglar Alarm? BCI Integrated Solutions uses a series of systems to ensure your facility is continuously monitored. We partner with Telular to ensure your alarms are continuously monitored, and program your system using Honeywell’s AlarmNet technology. We’re ready to work with your company today to determine the service, inspection, monitoring, and protection management program you need to safeguard your business. Contact us today for more information on what we can do to help you. 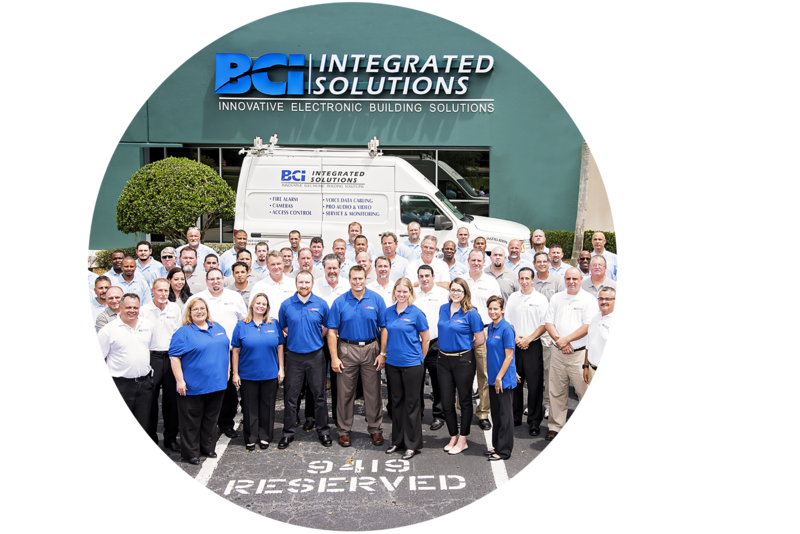 Headquartered in Tampa, Florida, with offices in Ft. Myers and Orlando, BCI Integrated Solutions is a licensed provider of specialized innovative electronic building solutions and low voltage systems. BCI expertly designs and installs audio video, security, structured cabling, and life safety systems. Servicing clients locally and internationally, BCI has built solid relationships with prestigious and demanding clients and contractors by providing superior service and support.